Serving the human needs of the community. Human Needs April collections will be for Campus Care Packages and Safe Hope – Newton. More information about Safe Hope can be found on their webpage. http://www.safehope.net/ Information is available on the Human Needs bulletin board. The refugee family we co-sponsor with Saint Francis Migration Ministries continues to do well. Several people visit with the mother to work on her English skills. The husband is employed at Creekstone and is able to take a bus to/from work. All the children are attending school. Thank you to Janet & Ted Balzer for donating a sewing machine so one of their daughters can learn how to sew. Thank you for your support today and throughout the year. Did you know that one out of every four people that are homeless is a child? Or, that families with children make up 40% of the people that are homeless in the country? Family Promise of Wichita is one of 207 programs across the country that work to empower families with children to achieve independence, while partnering with local churches to provide for basic needs of food and shelter. How long do families stay in the program? This depends on each family’s goals and individual needs, but the average stay nationwide is 65-70 days. Families (up to 15 people) rotate between local host churches on weekly basis while in the program. Family Promise of Greater Wichita is currently in their one year of rotation of 13 host churches, which means each church provides a host week quarterly. To help more families, a second set of 13 host churches will begin a rotation soon and Christ Lutheran will have the opportunity to be a second rotation host church at the beginning of 2019. Family Promise with whom Christ Lutheran has agreed to become a host congregation in the Rotation Program. Elaine Miller coordinates our involvement with Family Promise. We will begin serving people one week/quarter once a new group of twelve churches are obtained. The mission of Family Promise of Greater Wichita is to unite hearts and hands to provide compassionate hospitality and empower homeless families with children to achieve sustainable independence. They provide customized case management which allows them to walk beside families in life, partnering with them to achieve their goals. Phase 1: Support Services Families are assisted with urgent/crisis needs for homelessness prevention, as we have resources. Phase 2: Hospitality/Lodging Our Rotation Program, to work towards sustainability. Other programs revolve around this. Phase 3: Mentoring/Aftercare For families who have participated in/graduated from our Rotation Program. Christmas items were collected and delivered. 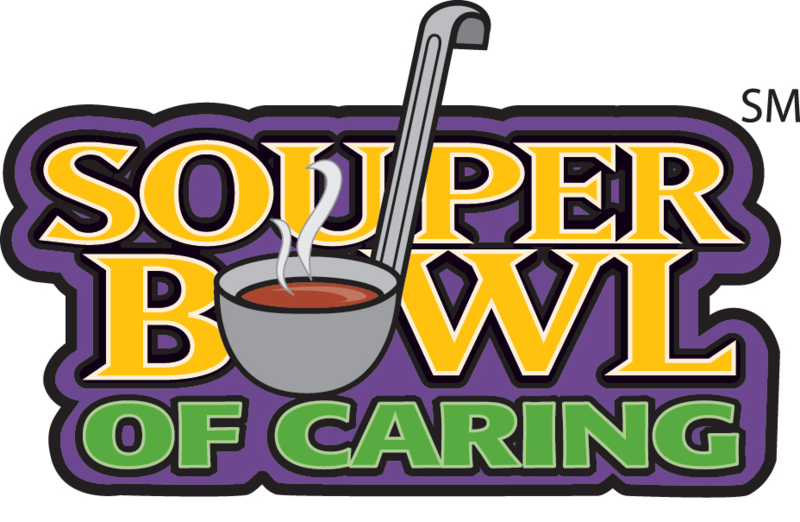 January’s donations were for Souper Bowl. Members of Christ Lutheran Church were asked to bring food for sack lunches being bagged and served by our youth to Wichita citizens in poverty. The Soup Pot money collected will go for supplies St. Paul’s Breakfast. Bags of Blessings program through Partners for Wichita invites everyone to collect personal care items for people in need throughout the Wichita area. They add a blessing and deliver bags to organizations and agencies who work closely with those who are most in need. This annual February project is a community-wide Valentine for neighbors in need. Together we make a difference! Human Needs collection for April, items were collected for the Family Life Center Safehouse in El Dorado. The Family Life Center Safehouse provides comprehensive services to victims of domestic violence, child abuse, and sexual assault/abuse. They provide special attention to each client’s individual needs. Members were asked to bring items for Baby Care Kits. Flat fold cloth diapers are the most needed item for baby layette kits for LWR. LWR requests that we do NOT send onesies. Members were asked to bring items items are being collected for refugees. They will come here with nothing. We are asked to provide anything they might need to set up a home in an apartment. This organization helps international refugees relocate to Wichita by helping with housing, language, and transitional assistance. We have helped welcome refugees from Burma/Myanmar, Congo, and Ethiopia. Partners for Wichita is reaching out with lunches for hungry kids before school starts. We are collecting healthy snacks to go with the meals. Here’s how you can help. Please help hungry children now. 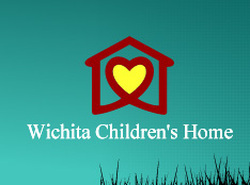 Your check, written to Partners for Wichita and designated for “Filling the Gap,” may be mailed to Partners for Wichita, 925 N. Waco, Wichita, KS 67203; or you may give securely online at www.partnersforwichita.org. 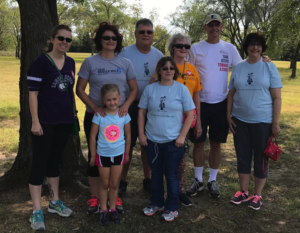 The Wichita CROP Hunger Walk seeks to educate, inspire and empower the Wichita community to be agents of change in the fight against poverty and hunger through fundraising events with local and international impact. 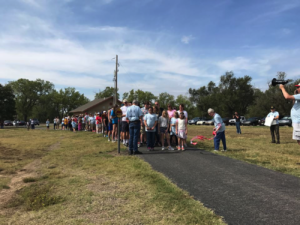 The Walk is an opportunity for Wichita residents of all ages, faiths, cultures and circumstances to join together to demonstrate their concern for those who are poor and do not have enough food to eat, both across the globe and in our own backyard. 1/4 of funds raised stay local (Free Community Breakfast-St. If you know someone who is experiencing domestic violence they may want to contact the Domestic Violence HotLine at 1-800-799-7233. Data from the National Coalition Against Domestic Violence; In 2018 there were 444 gun related domestic violence fatalities; 10 million people a year are physically abused each year by an intimate partner; 20,000 calls a day are made to domestic violence hotlines; 20% of women in the United States have been raped. 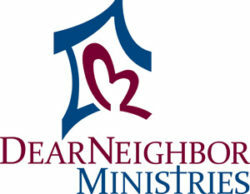 Dear Neighbor Ministries Food Pantry serves the entire community and has struggled with maintaining adequate food to distribute to people in need. They distribute not only food items but also personal care items. People utilizing the Supplemental Nutrition program (SNAP – formerly called food stamps) are unable to purchase non-food items with these benefits. People receiving food stamps typically run out of food by the 23rd of the month. Gathering items for the Union Rescue Mission at 2800 N. Hillside (http://urmwichita.org/programs-services) Some of the items collected were: Winter gloves, Water Bottles, Insulated cups (for coffee or cold), Disposable Hand Warmers, Chapstick, and Food.